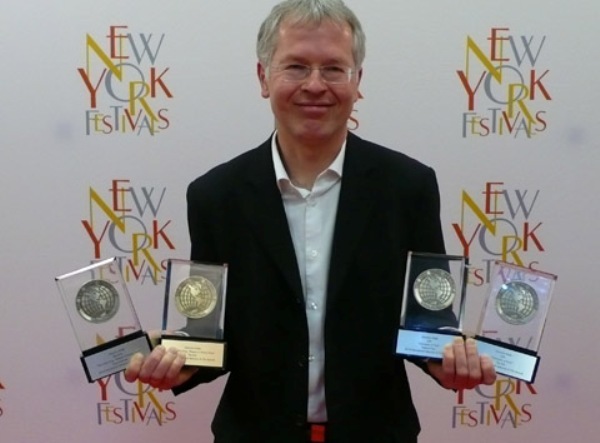 DW was once again recognized for its music documentary The Beethoven Project – this time at the New York Festivals International Television and Film Awards. The film received the Silver World Medal in the category “The Arts”. This is the 14th award for the four-part documentary, which focuses on star conductor Paavo Järvi and selected members of the Deutsche Kammerphilharmonie Bremen. Global Ideas also picked up a “Finalist Certificate” in the category “Environment & Ecology”. Deutsche Welle was recognized this past week by the New York Festivals and World Media Festival in Hamburg for its work in television and online. New York Festivals recognize the "World's Best Work" in news, sports, documentary, information and entertainment program as well as in music videos, infomercials, promotion spots, openings and ID's. Deutsche Welle received a Finalist Certificate in the Human Interest category for its segment entitled "Money for freedom". It also picked up a Bronze World Medal for Best Animation for "Walled In! – The inner German border". The series "Global Ideas" also went away with a Finalist Certificate for Information/Magazine Opener & Titles. At the World Media Festival in Hamburg, Deutsche Well picked up four awards for its series "Politik Direkt".